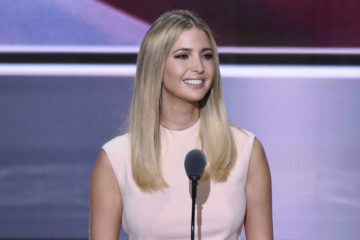 UPDATE June 27, 2018 : Ivanka Trump’s business received registration approval for three additional Chinese trademarks on June 7, 2018, according to trademark database records reviewed by CREW. On that same date, President Trump agreed to lift sanctions against the Chinese telecommunications company ZTE, a controversial move that the U.S. Senate is currently challenging. Ivanka Trump Marks LLC applied for these trademarks in July of 2016. On May 7, 2018, Ivanka Trump’s business received “registration” approval from the Chinese government for five trademark applications. An additional trademark also received “first trial” approval on May 6. The trademarks, which were applied for in March of 2017, give Ivanka’s business trademark rights on goods including bath mats, textiles, and baby blankets. This isn’t the first time that Ivanka’s and President Trump’s business connections to China have raised potential ethics issues. The same week Ivanka’s business received registration approval, President Trump announced that he would work to save jobs at the Chinese telecommunications company ZTE. About 72 hours before his announcement, the Chinese government also agreed to loan $500 million to a project in Indonesia in which the Trump Organization is a partner. As a White House adviser, Ivanka has represented the United States at multiple diplomatic events despite the potential conflicts her business interests present. Although Ivanka has stepped down from her role at her business and has placed it in a trust, she continues to receive profits from the business. Last year, Ivanka’s business won preliminary approval for three trademarks on the same day that she dined with Chinese President Xi Jinping at Mar-a-Lago. Earlier this year, Trump announced tariffs against China that exempted clothing — including clothing imports from Ivanka’s Chinese manufacturers. Despite these potential conflicts, Ivanka continues to play a prominent foreign policy role. She and her husband Jared Kushner were recently part of the U.S. delegation to Jerusalem. The Trump administration is also currently in trade negotiations with China. Ivanka Trump’s business received renewals for two Russian trademarks on October 5, 2016, just a month before her father was elected President of the United States. 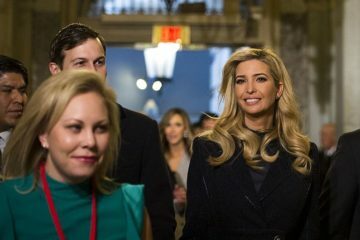 Ivanka Trump’s fashion brand won first trial approval for 16 new trademarks (including for sausage casing and voting machines) from the Chinese government in October. 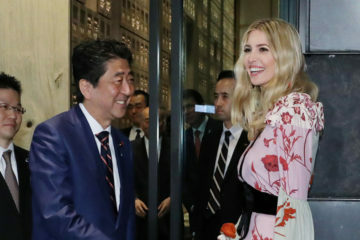 Ivanka Trump’s business recently received approval for two new trademarks in Japan.